“My name is Natajewo Ololulu, I am a Maasai lady of 17 years old. I am from Malambo village. My parents and especially my father didn’t want me to go to secondary school because he wanted to exchange me for my dowry. So I ran to the Pastoral Women’s Council (PWC) office and explained to them what had happened to me. I wanted to continue with my studies and escape early marriage. PWC enrolled me at Emanyata secondary school. I am now in form three. I’m among the best ten students in my class. I am one of the girls who have joined girls clubs at Emanyata secondary school and received different trainings from form one up until now. Before I received training I was just like ‘any other girl’ with no confidence, and not able to make decisions in my activities. After joining the girl’s club and receiving training I got self-confidence; my academic performance increased and my skill of self expression also increased tremendously. Then on August 2012 when I was in form two I started to vie for a leadership post and got it and became the secretary of Emanyata girl’s club As a member of a girl’s club, it has not only brought changes to my life but it has also changed the lives of the different girls who joined the clubs. For example in the 2012 form two national exams results Emanyata secondary school was the best school in the district and the best student was a girl who is the member of the girl’s club. The training which we have has helped us to improve our academic performance, built our confidence, helped us to have good relationships with our teachers and improved our hygiene as well as our discipline. Even in girl’s club when the matron is not present we counsel ourselves through our leaders and peer educators. African Initiatives and the Pastoral Women’s Council run girl’s clubs in secondary schools in northern Tanzania which provide a safe space for girl’s to explore their rights and discuss issues such as HIV and AIDS, forced marriage and drug abuse which they have to face in their lives. 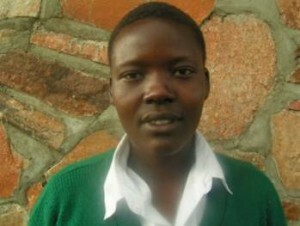 They empower girls like Natajewo to overcome challenges and look forward to a brighter future.